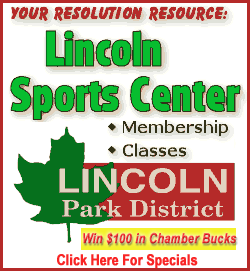 [February 11, 2008] Abraham Lincoln Bicentennial activities officially got under way in Logan County over the weekend, and despite sometimes frigid temperatures, all of the events were very well-attended. 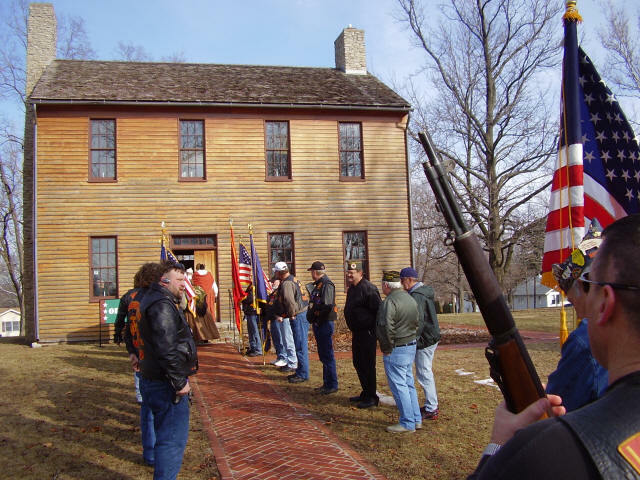 On Saturday, the weather cooperated, and as a result, Postville Courthouse was packed for a day of Abraham Lincoln birthday activities. Lincoln's Logan County Arts & Crafts Guild put on the morning program at Postville, which included a presentation of the colors by AMVETS and Logan County Interveterans Council, a recitation of the Gettysburg Address by Zion Lutheran School students, and a storytelling performance by Mike Anderson of Jacksonville. 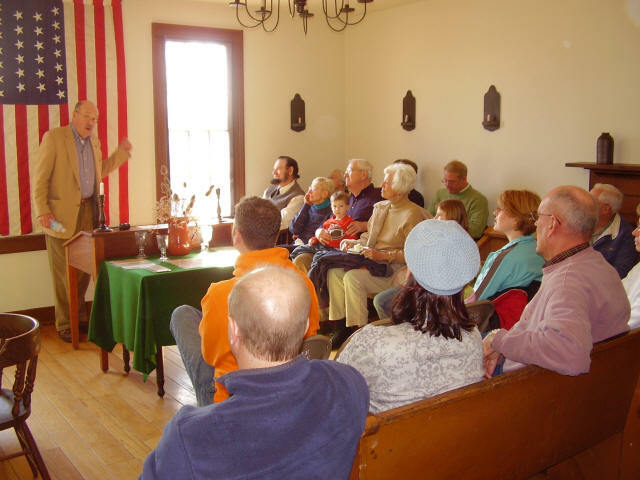 The afternoon events included music by Postville Express and presentations by Bloomington attorney and author Guy Fraker, a renowned Abraham Lincoln historian. Abraham Lincoln interpreter Greg Bergschneider, a popular favorite at Postville, was on hand for the day's activities. Abraham Lincoln's favorite rocking chair was once again on display at the courthouse. When Lincoln was riding the 8th Judicial Circuit between Springfield and Charleston, he often stayed with his friend Illinois state Sen. Maldon Jones. 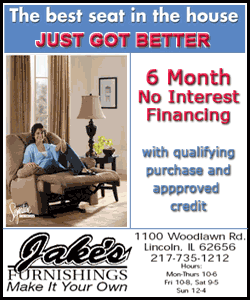 When there, Lincoln always sat in the same rocking chair, the chair that was on display thanks to Jones' great-great-grandson, Doug Mulikin and his wife. 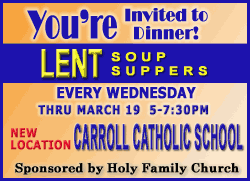 Several local representatives were in attendance at the event, including Lincoln Mayor Beth Davis-Kavelman; JoAnne Marlin, Logan County Board secretary; Nancy Rollings Saul and John Sutton, current and past presidents of the Arts & Crafts Guild; and Shirley Bartelmay, Postville volunteer coordinator, along with several of the volunteers. 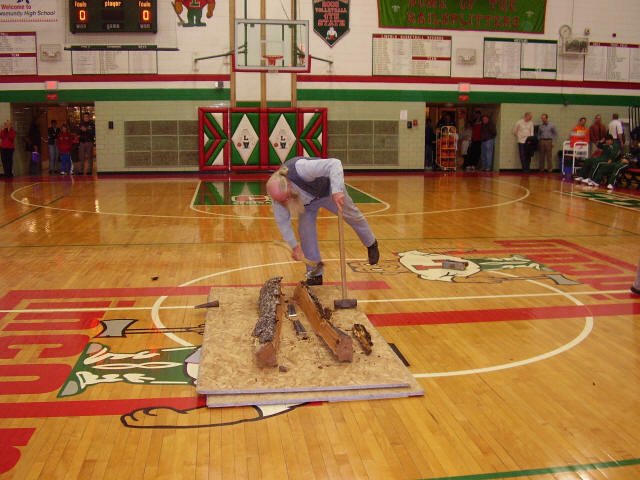 On Saturday evening, the Logan Railsplitting Association rekindled an old tradition as John Sutton split half a log into rails between the sophomore and varsity LCHS basketball games versus Springfield. The crowd showed great enthusiasm as Sutton split the rails, while Railsplitting Association President Darlene Begolka narrated the event and threw railsplitting ball caps into the crowd. 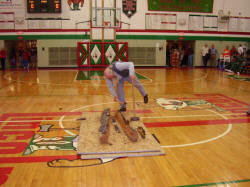 The event was a promotion for the 38th annual Abraham Lincoln National Railsplitting Contest & Crafts Festival, Sept. 12-14. 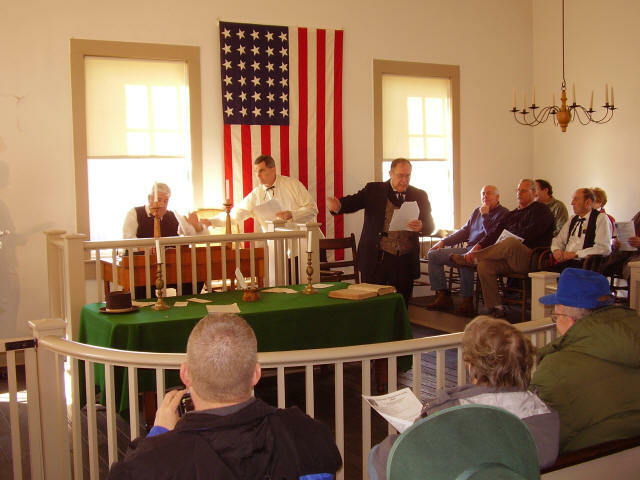 On Sunday afternoon a full house was on hand at the Mount Pulaski Courthouse State Historic Site for the "Cast Iron Tombstone Trial" re-enactment. Two tombstone trials actually took place during the time that the courthouse was a part of the 8th Judicial Circuit. In both trials, Mr. Lincoln was defense attorney and Judge David Davis presided. Both verdicts were appealed to the Illinois State Supreme Court, and President Lincoln learned of the result of his Mount Pulaski court appeal in 1864, during the anguish and tribulations of the Civil War. Copies of actual trial documents have been obtained and further research of this case has been conducted. The play was the brainchild of Phil Bertoni and Darrell Knauer, both of Mount Pulaski Looking for Lincoln. Both men have recurring roles in the play, with Knauer at the helm as Judge Davis. Tom Martin, president of the Illinois Looking for Lincoln Heritage Coalition, also had a recurring role as the prosecuting attorney, and Jeff Clements of Mount Pulaski played the role of Abraham Lincoln. The re-enactment was also the debut of the Mount Pulaski Courthouse banks. These banks were generously created and donated by Weyerhaeuser in Lincoln and are in the shape of the Mount Pulaski Courthouse. The banks will also be available Tuesday at the courthouse open house, from noon to 4 p.m.
On Sunday evening, Main Street Lincoln, Lincoln College and Mount Pulaski Looking for Lincoln teamed up to present the fourth annual Logan County Abraham Lincoln Birthday Celebration at the Lincoln College Student Center. The event included remarks from Dr. Kristen Green-Morrow, immediate past president of Main Street Lincoln; Lincoln Mayor Beth Davis-Kavelman, Dr. John Hutchinson, president of Lincoln College; Wanda Lee Rohlfs, executive director of Main Street Lincoln; Paul Beaver, of Main Street Lincoln's Looking for Lincoln program; and Phil Bertoni, of Mount Pulaski Looking for Lincoln. Special awards were presented to Mount Pulaski Historical Museum and Genealogical Research Center, Logan County Genealogical and Historical Society, the Middletown Bicentennial Commission, and the Knapp-Chesnut-Becker Historical Society. The featured speaker was the renowned Dr. Wayne C. Temple, chief deputy director of the Illinois State Archives and noted Abraham Lincoln historian. Temple is the author of many Abraham Lincoln and Civil War books and articles. His research includes an extensive documentation of Abraham Lincoln's connection with the Stagecoach Inn (also known as the Dunlap House) in Middletown, which was the featured part of the presentation at the Sunday evening event. Temple also took questions from the audience on a variety of topics related to Abraham Lincoln. Terry Steinhour, of the Middletown Bicentennial Commission, concluded the evening by presenting Temple with a framed photograph of Temple's christening of the Stagecoach Inn, which marked the moving of the building back to Middletown and its dedication on July 4, 2001. These events are just the start of the Abraham Lincoln Bicentennial activities over the next two years. 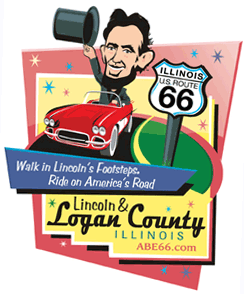 For more information on upcoming events, please contact the Abraham Lincoln Tourism Bureau of Logan County at 217-732-8687.